I am, admittedly, a bit astounded by the interrogation line of questioning I encounter. 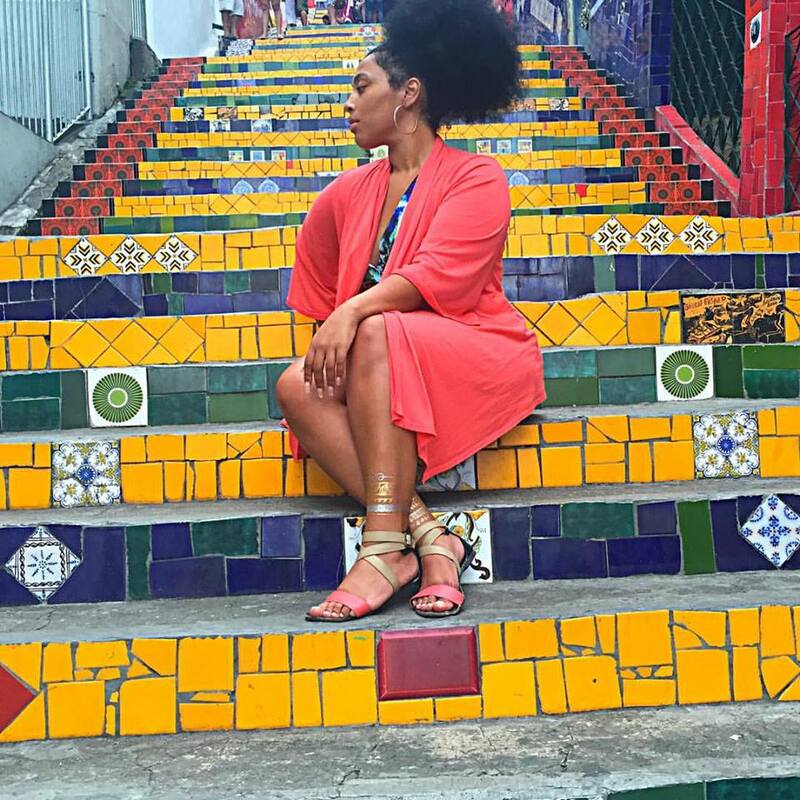 I recognize that solo travel, especially for a woman AND a woman of color no less, isn’t exactly what we would consider commonplace. I just never seem to grasp the magnitude of what I’m doing until I’m doing it. Until someone makes me aware that I doing something they wouldn’t dare. I guess. Full Disclosure: I don’t know if it’s because I’m an Aquarius, but I value doing things on my own. My Alyssa time matters. And the reality is, I have truly amazing family and friends whom I love and love me back. HOWEVER, I do not allow them to dictate my life. If they don’t want to go somewhere I do, can’t afford to go, or a mixture of both, what am I supposed to do? You miss out on 100% of the life you don’t dare to live. Anywayyyyyy, not what this post is about. February 2nd marked my 30th birthday. Being a Winter Baby who is not a fan of winter weather, I opted to take my second international adventure South of the Border to Puerto Vallarta, Mexico. Now usually I’m an #AirBnBandChill type. But, Mama needed a little mix of adventure, luxury and pampering. Plus, there was no better way to kick off my 10-10-10 for 30 Challenge (explanation forthcoming) than a trip that allowed me to regroup & recharge. This go ’round, I opted to stay at the all-inclusive Dreams Villamagna Resort & Spa in Nuevo Vallarta- an exxxttttrraaaa resorty section of Mexico 25 minutes North of Puerto Vallarta. HONNNNEEEYYYYYY. Let’s talk about how I was greeted at check-in with champagne. Let’s talk about how there’s a fully stocked, top shelf bar in the lobby. Let’s talk about how there are FOUR boutique restaurants on the premises. And the views? Babyyyyyy, my views were better. Touch Down, Turn Up. Tequila shots in the airport. I landed in Puerto Vallarta Friday to sunshine and my wonderful driver that would be shuttling me from the airport. Once I was done with check-in and thangs, it was on to procure some sustenance and explore the lay of the land (read: my hotel). After a great sleep (I need light canceling curtains in my life) & an amazing breakfast, I was off! I decided to live La Vida YOLO and go zip-lining. I booked my excursion with Los Veranos Canopy Tour who graciously upgraded me from a bus to a boat ride cutting transit time from 90 minutes to 35 minutes. At 11am, I met up with my guide Aldo who was super versed in the current aquatic wild life calling the surrounding waters home. Once I stepped onto the site, it was buckles and harnesses and helmets (sounds way kinkier than it was) and we were off! Led by Jorge, Jonny and Shaggy (amazing guides), we began the trek up the mountain to the first of FIFTEEN zip lines. Take a moment and re-read. LET ME TELL YOU SOMETHING. I may not be the fittest person, but BAABBAAYY!!! That hike is not for the faint of heart or out of shape. I was breathing like my last name was Wallace. Thick, humid air. Bissssshhhh. After several zips this and that way, I reached the tallest and longest zip line on the property: The Dos Cojones. Appropriately named because it stretches 1,796 ft. over 500+ ft. of canyons, trees and everything in between. A few more zip lines down and we were back on Mother Earth as the good Lord intended. I’m not the most fearful person, but I always have realistic amounts of caution. At the foot of the zip lines lays this beautiful rainforest restaurant with its fair share of delicious food, ah-mazing margaritas (don’t even remember how many I had) and exotic animals. After my fun above the trees, it was time to tap into my tourist side. And though Puerto Vallarta has been ransacked by retirees (I past a Walmart and too many Starbucks), it has managed to maintain the seams of its culture. The tour took us to the El Caballito Seahorse statue, Church of Our Lady of Guadalupe and Casa Kimberly, former home of Richard Burton and Elizabeth Taylor. The tour concluded with a walk through of a traditional tequila factory and tasting. Alyssa loves the tequila. On my last day, I figured I would chill by the pool, get some reading in, and get my skin as close to a perfect piece of fried chicken as possible. However, in the midst of ensuring all of my travel i’s were dotted and t’s were crossed, I met a series of wonderfully colorful folks that made my last night partyful. I am never disappointed when I travel alone. Though I’m still wet behind the ears when it comes to this, I’ve already had so many dope experiences and created so many memories, that stopping isn’t an option. I’ll call you back later.